The thing about grand hotels and their accompanying lavish designs is that sometimes it makes the average person feel a little out of place. 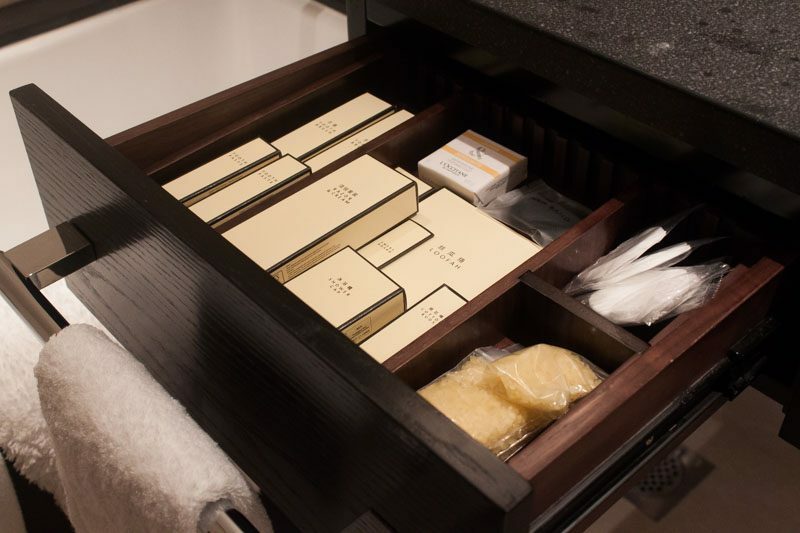 When you’re yearning for a staycation or a bit of a break, you’re probably looking for a place that’s luxurious, minus the pretence. After all, the whole point is to relax and unwind. 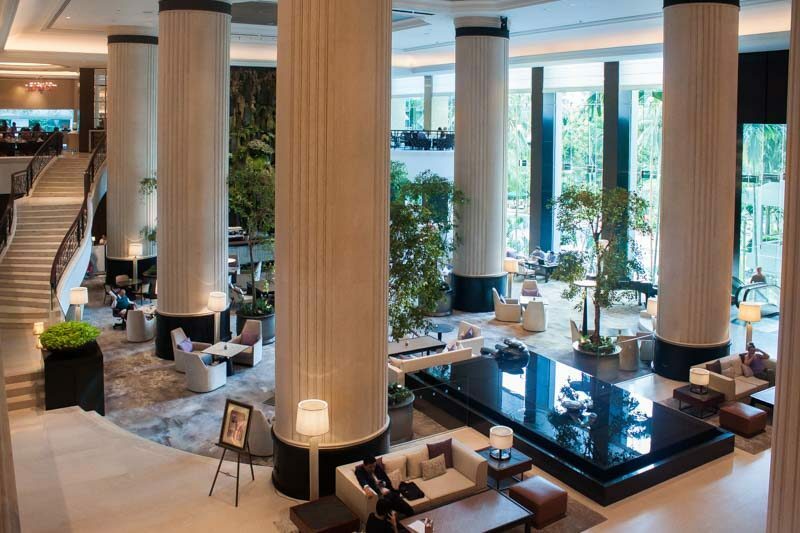 And that’s where the newly-renovated Tower Wing of Shangri-La Hotel, Singapore is changing the game. The popular hotel chain’s reputation greatly precedes it, and a night’s stay promises a staycation like no other. It’s already been a few months since the Tower Wing’s greatly-anticipated reopening, and if you haven’t already seen the facelift, you really ought to. 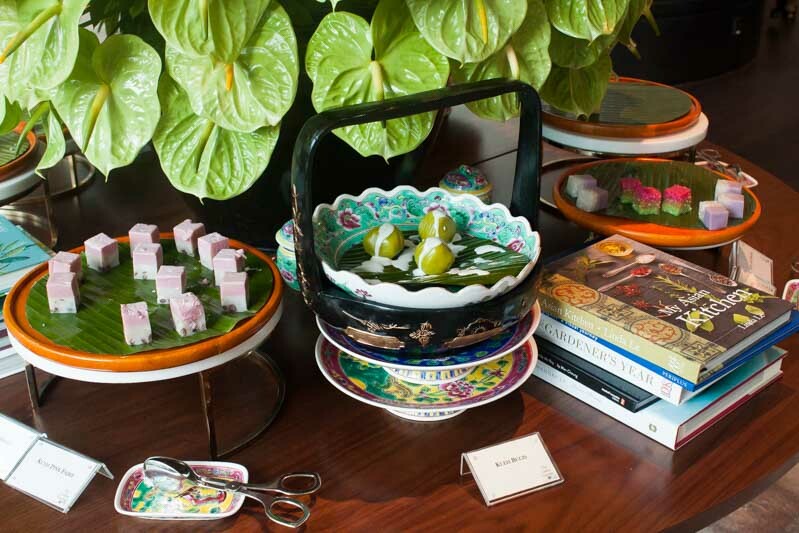 It’s the perfect harmony of greenery and luxury that’ll help any guest unwind. 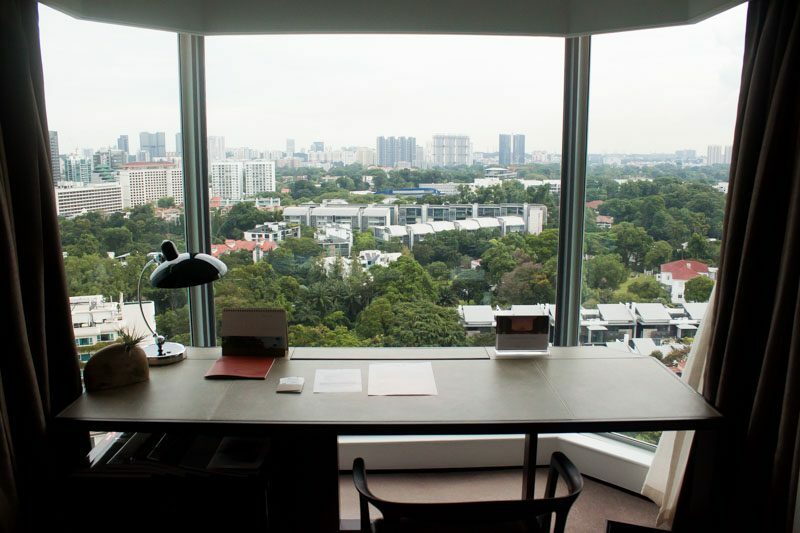 The premises’ new urban resort look was inspired by the art and design of some of Asia Pacific’s foremost artists, and is a fitting reflection of Singapore’s vision of being a garden city. 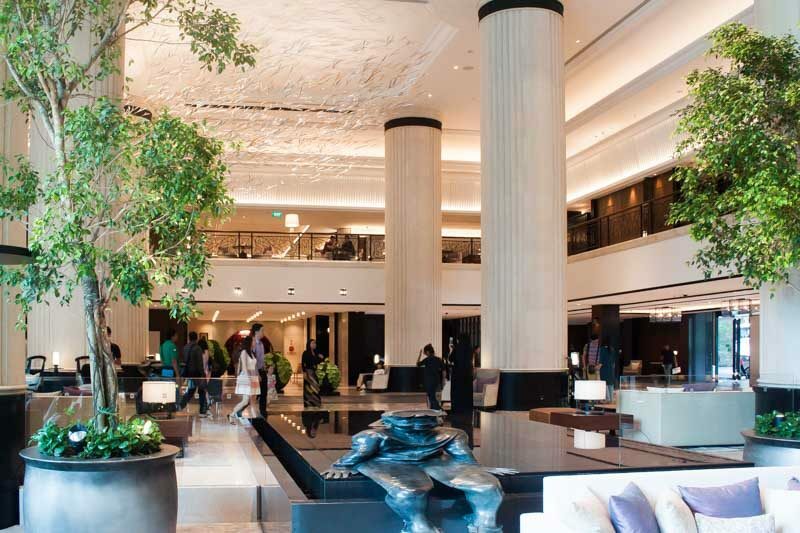 The lobby is a spacious indoor garden paradise, flooded with greenery and natural light. 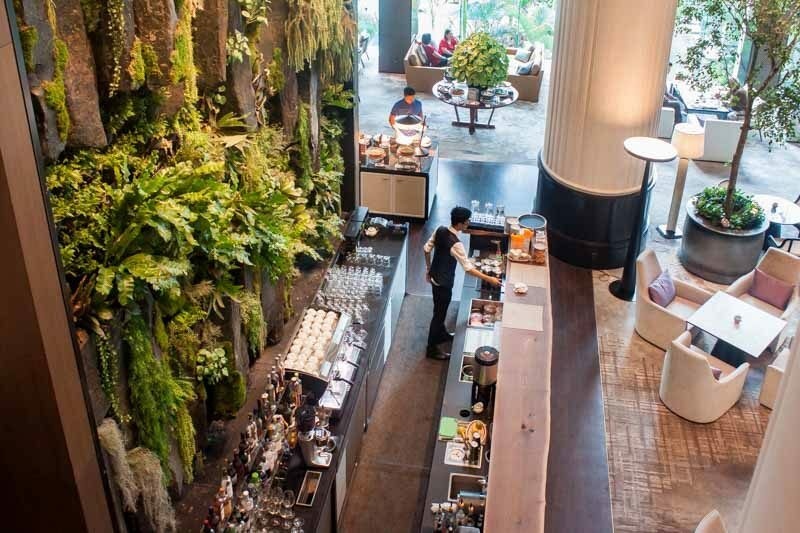 The first thing you notice when you walk in will probably be the impressive floor-to-ceiling basalt rock that’s covered in tropical ferns and mosses. It’ll be tempting to stay and marvel at the structure, but tear your eyes away and you’ll notice other works of art like the unique sculptures of children at play by Korean artist Yi Hwan Kwon. 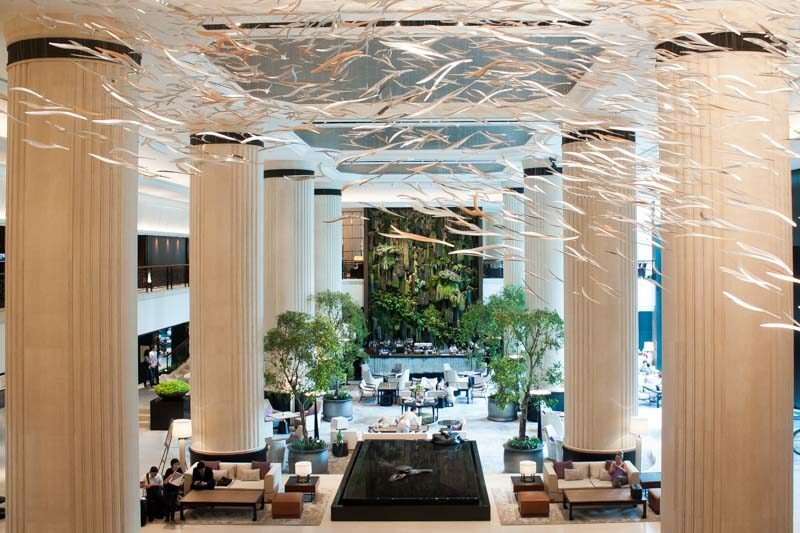 You’d expect chandeliers in such a grand space, but will instead find a breathtaking ceiling art installation by Studio Sawada Design, featuring thousands of cascading stylised leaves. I stood in awe of the lobby, but was equally excited to check out the rooms. 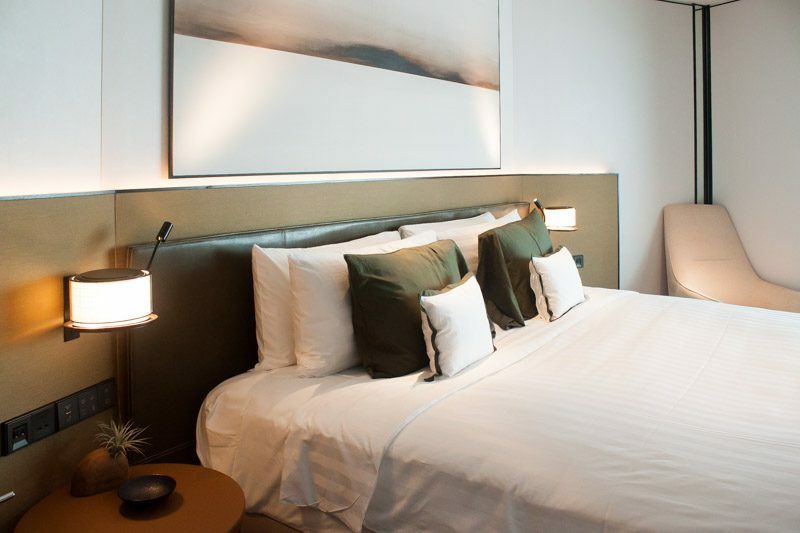 If you’re planning a staycation and don’t mind splashing out a little bit, I highly recommend going for the Horizon Club Deluxe Room. The green theme extends to all the new rooms in the Tower Wing, but with slightly warmer colours and earthy tones. The wooden furniture and rustic colour scheme will immediately put you at ease, and the classy vibe sets the tone for a weekend of luxury. 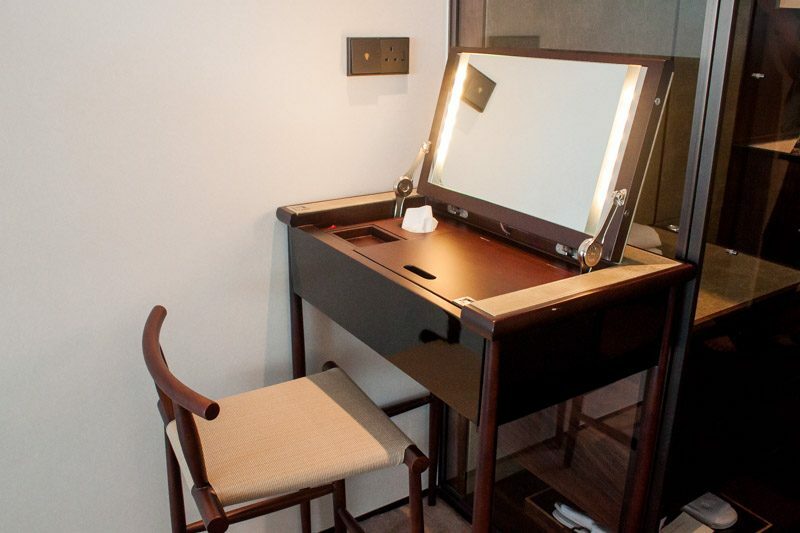 There’s even a makeup table in the Club Rooms, complete with flattering lighting. 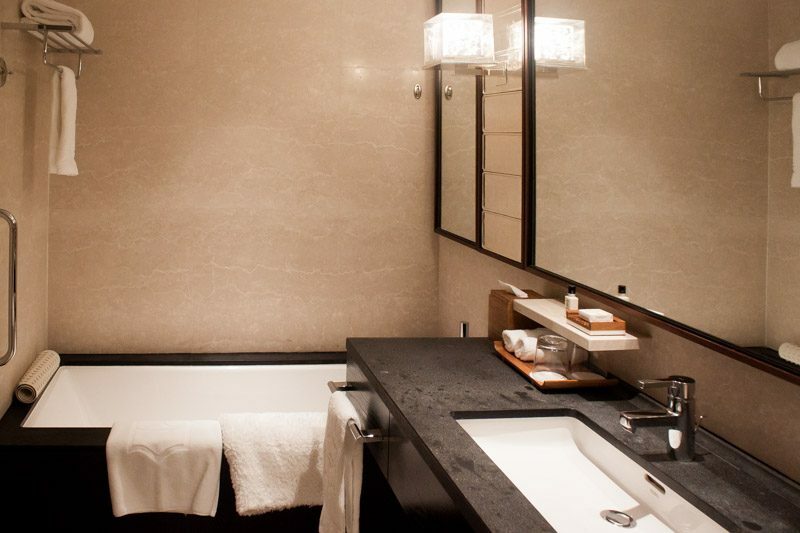 The bathroom has everything expected of a 5-star hotel, with the addition of bath salts to help you soak in the holiday mood. What I loved the most about the club room though was the view. Being on Level 22 gave me a completely different perspective of the Orchard district, and I was left wishing that I could wake up to this every day. Speaking of views, booking a club room means that you’ll have access to the Horizon Club Lounge on the 24th floor. 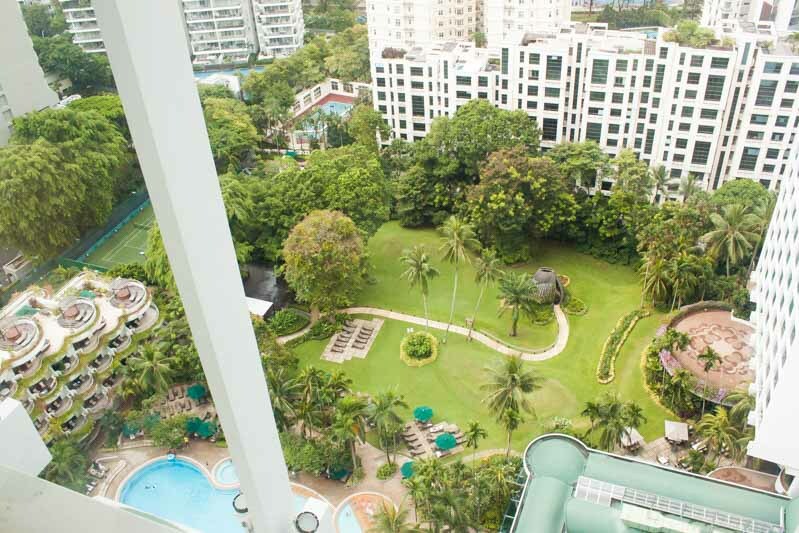 Head there for drinks and canapés and take in this birds-eye panorama of the huge hotel property which includes the Garden Wing and the Valley Wing. In terms of the food, I honestly found it to be one of the best selections I’ve ever seen in a club lounge. I guess I should have expected no less, but I was still blown away. 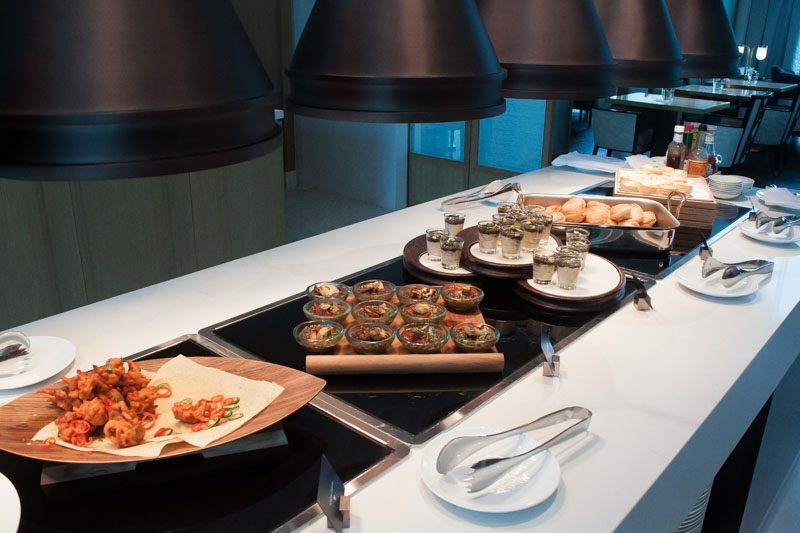 You’ll pretty much find something there to nibble on throughout the day – they serve a buffet breakfast, afternoon tea as well as pre-dinner canapés and drinks. The lounge is also open 24 hours-a-day if you ever feel like you just need a comfy armchair to sink into. What you’re looking at is the spread that was available for pre-dinner canapés, and this wasn’t even the half of it. I had a little bit of everything and all the bite-sized morsels were delicious and packed full of flavour. They say pre-dinner, but no one would blame you if you just made this a whole meal. 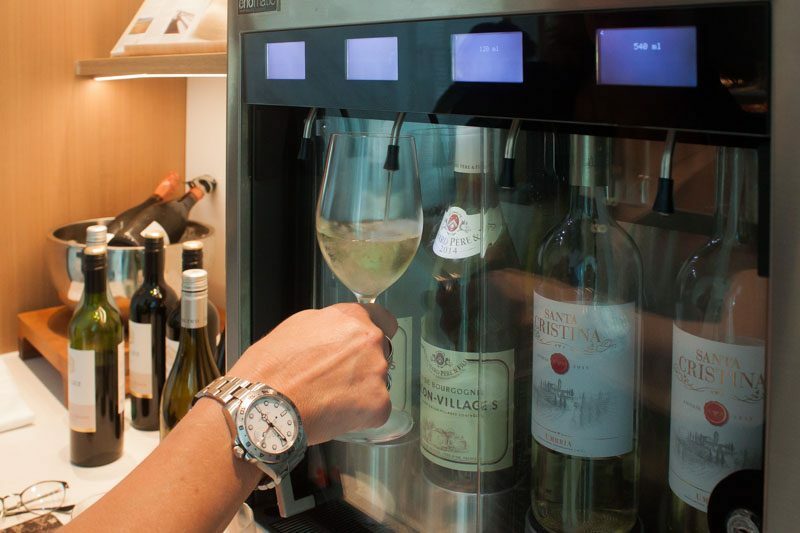 There’s even a wine dispenser, and you can either opt for tasting portions or go for a full glass of your favourite. The personalised service in the lounge was impeccable, and you’ll be well looked after and at ease from the moment you enter. I caught a glimpse of the pool from the 24th floor and journeyed down for a dip, but then got distracted by this unique structure. 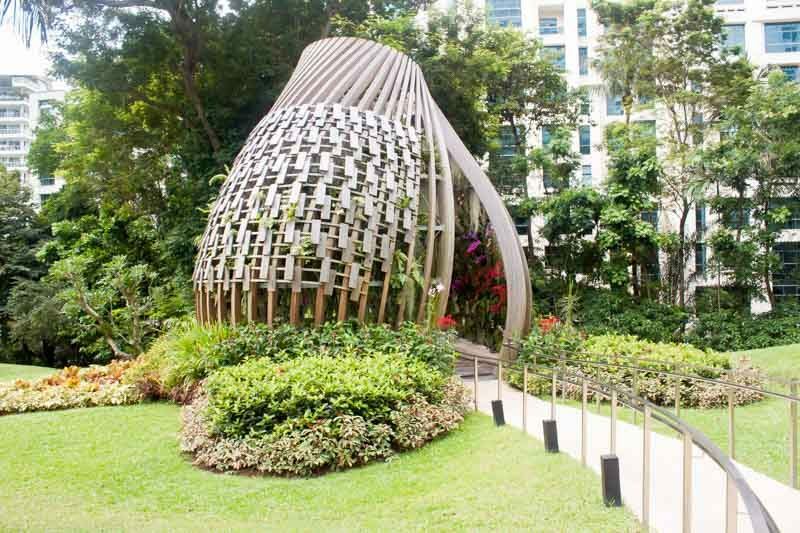 The Orchid, which was unveiled in 2016, is actually a seven-metre tall greenhouse where you’ll find several species of Singapore’s orchids. I later found out that you can even choose to have a romantic dinner in The Orchid, which is an option that’s open to the public, and not just to guests of the hotel. All you need to do is make reservations, and you’ll be on your way to a dinner to remember. I already had dinner plans though, and wasn’t about to give up the chance to dine at the new NAMI Restaurant and Bar in the hotel. 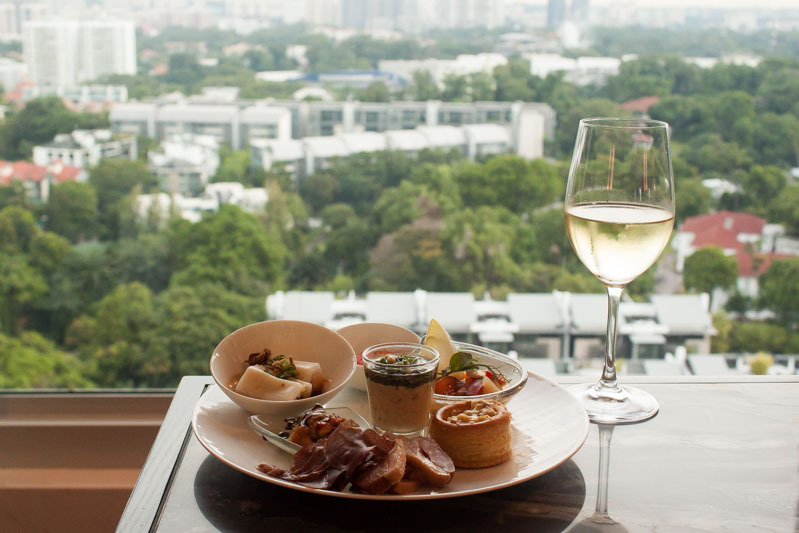 It’s located on Level 24 of the Tower Wing, which means I was in for Japanese fine dining with a view. 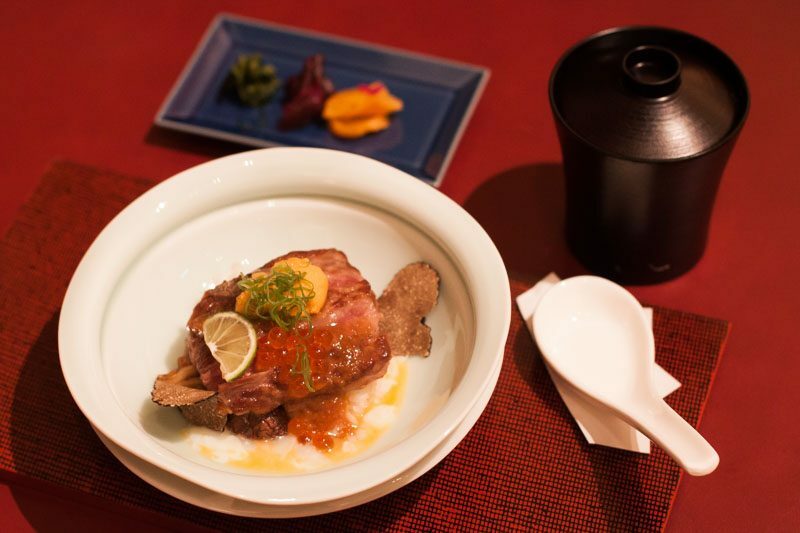 The kitchen is led by Head Chef Shigeo Akiba, who hails from Yokohama. With more than 30 years of culinary experience under his belt, you’ll find him serving up authentic and traditional Japanese cuisine at NAMI. Fresh seafood is flown in from Japan four times a week, to ensure only the best dining experience for customers. 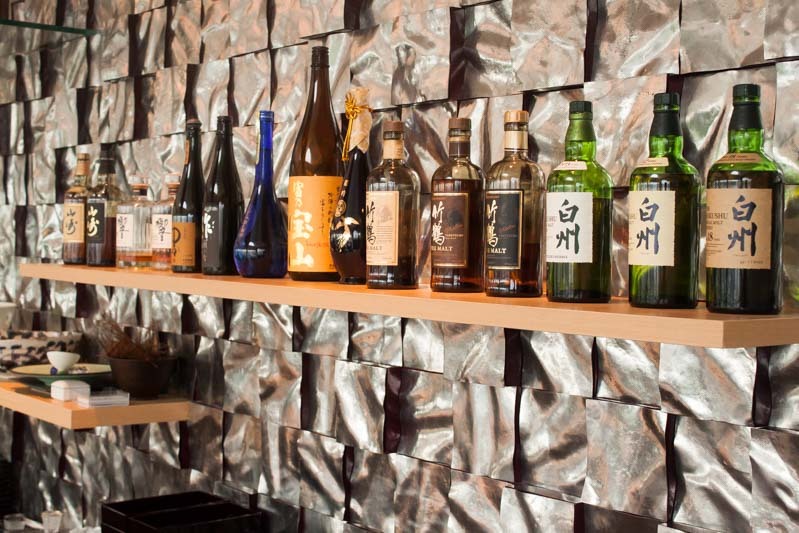 You’ll also find quite the range of Japanese whiskies and sake that you can pair with your meal. 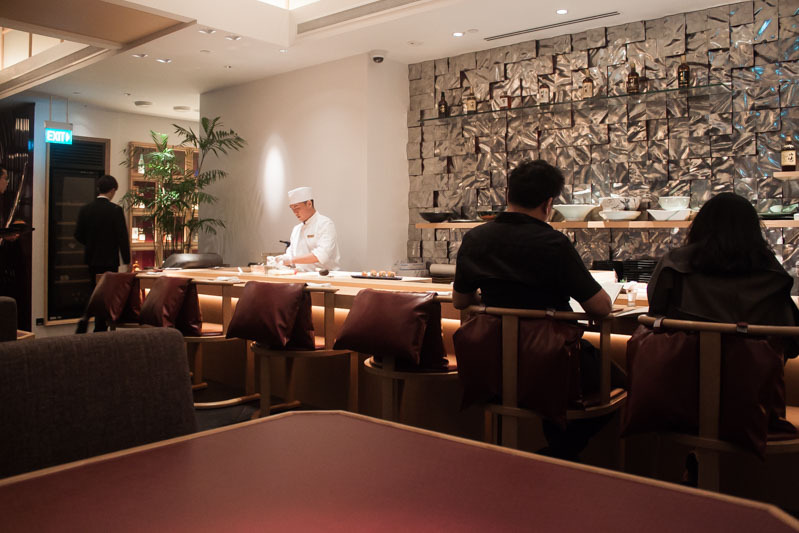 The restaurant features an a la carte menu as well as an Omakase Set ($190++). If you’re in the mood to treat yourself, I’d definitely go for the Omakase Set, which also included the Chef’s signature Pan-Fried Tuna Head in a homemade sweet soy sauce. I also really enjoyed the Japanese Saga Wagyu Beef Sirloin A4, which had the most beautiful presentation and simply melted in my mouth. 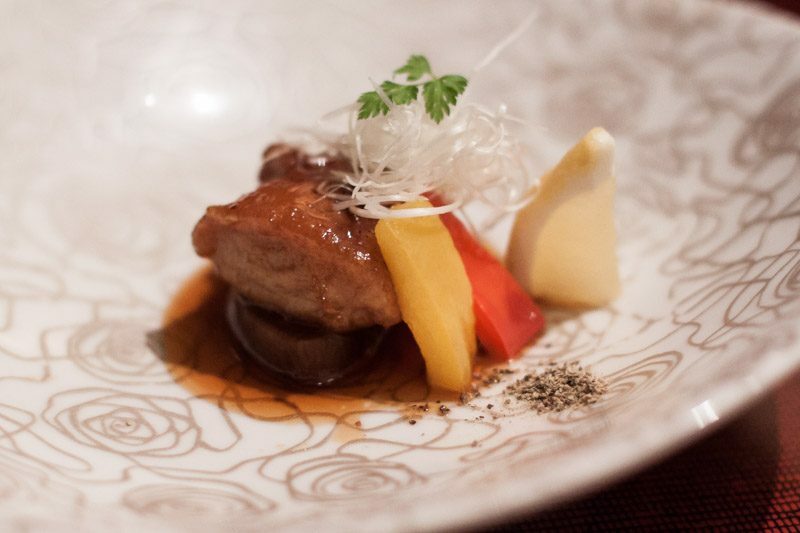 Since it’s an Omakase Set, the dishes are bound to change, but you can always look forward to the emphasis that the Chef places on using seasonal ingredients and fresh flavours. I’ll admit that the prices are a bit steep, but that’s what you get for fine dining. And if it’s for a special occasion (staycay + dinner), it’s so worth it. 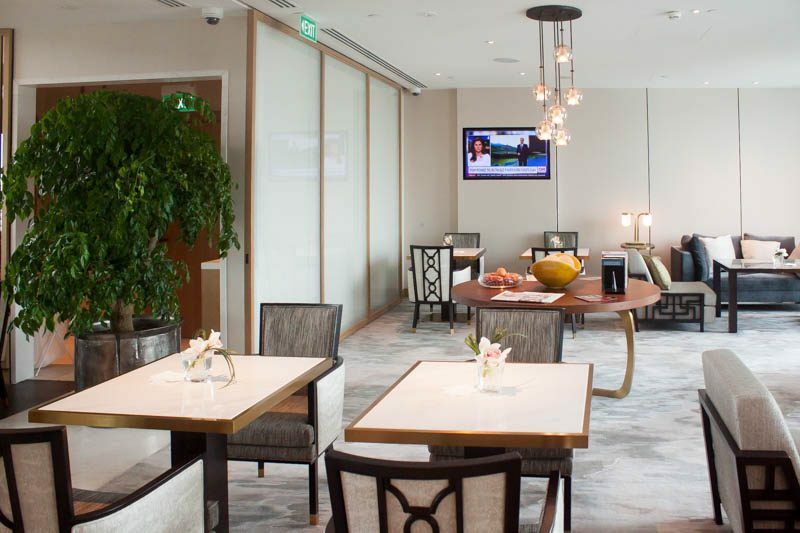 I don’t know about you, but staycations for me involve a lot of eating, so after the amazing Japanese dinner at NAMI, I had breakfast at the Horizon Lounge (another unforgettable meal) but I must tell you all about my lunch at The Lobby Lounge. 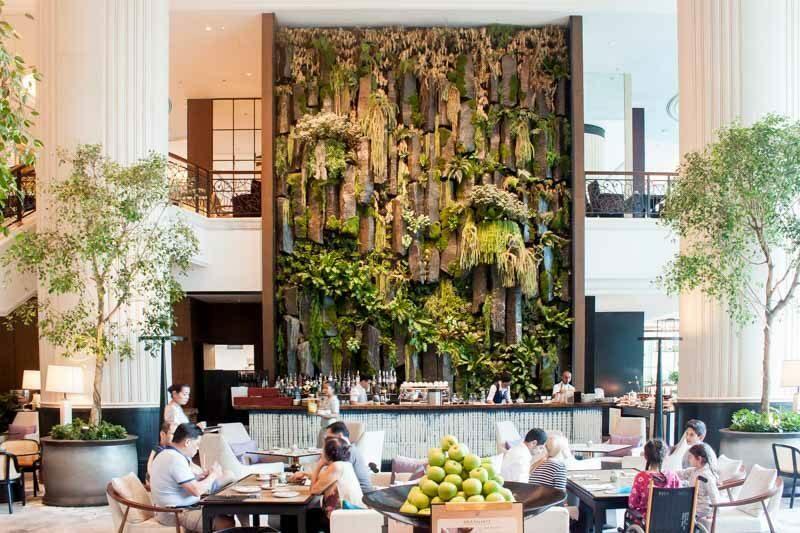 Firstly, you’ll be dining with a view of the amazing new basalt feature wall, which is Southeast Asia’s largest indoor natural feature wall. 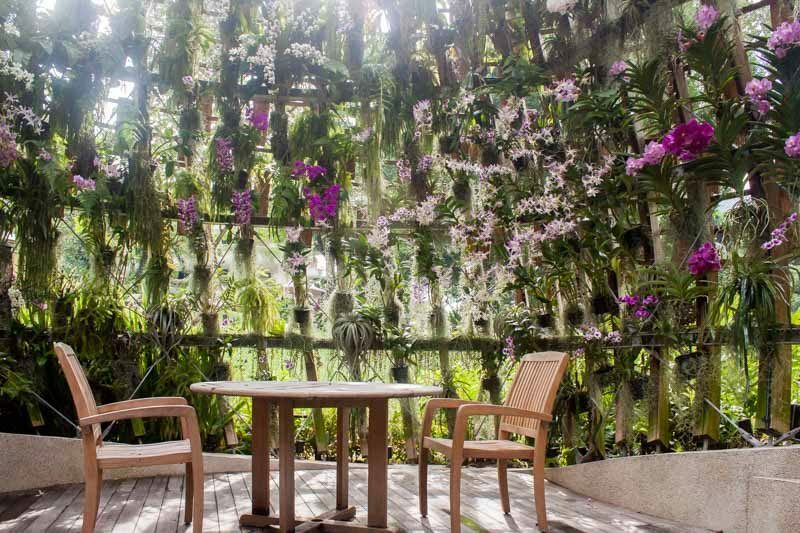 Constructed by Australian landscape designer Charlie Albone, the basalt stones were flown in all the way from Australia, and draped with Tumbling Rabbit’s Foot Fern, Jungle and Staghorn ferns and purple Spanish sprawl mosses. 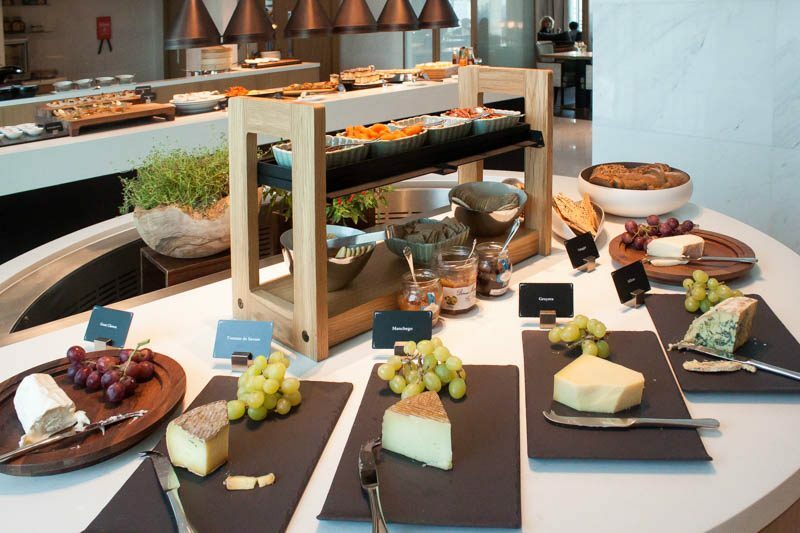 While the relaxing atmosphere had some international help, the buffet lunch at The Lobby Lounge is a celebration of all things local. 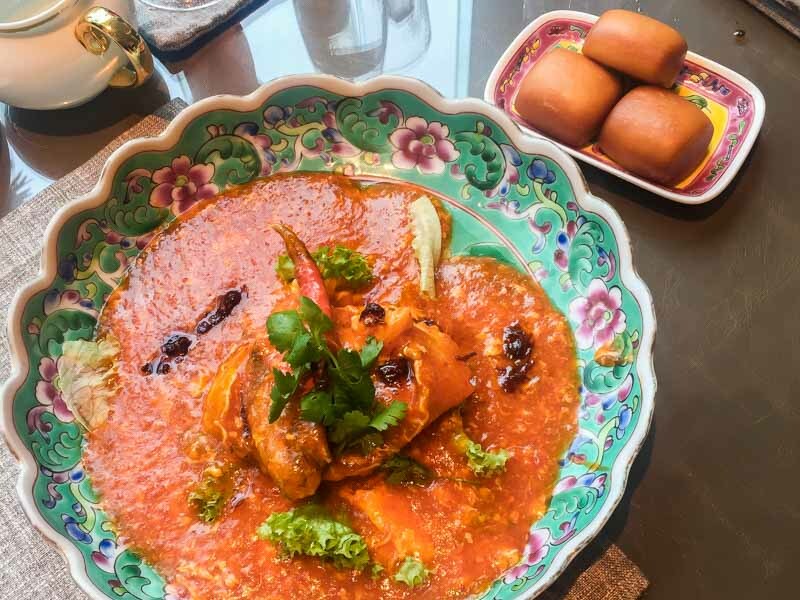 It’s Singaporean hawker fare galore, with dishes boasting a refined twist and gleaming from beautiful Peranakan plates. I’m talking Beef Rendang, Achar, Ayam Masak Merah, Belacan Chicken and even Popiah and Kueh Pie Tee prepared on the spot. The dishes in the spread change daily, but I’m pretty sure everything will be just as delicious. 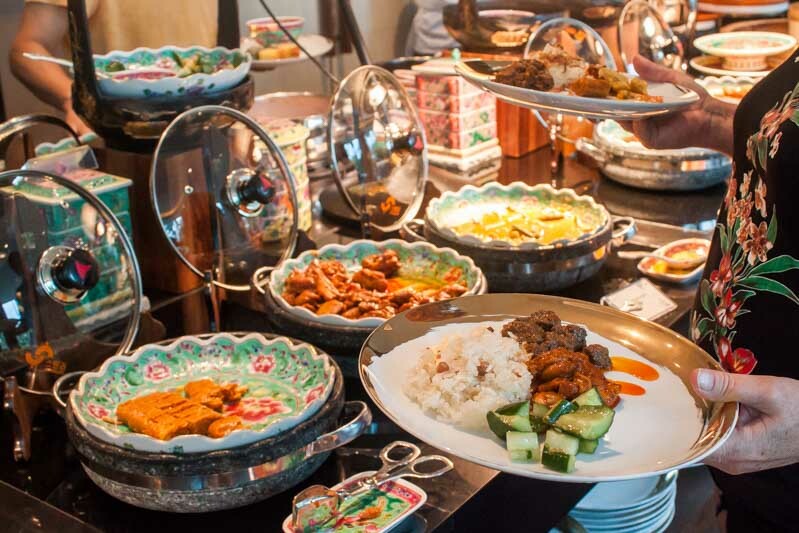 Opting for the Lunch Semi Buffet ($38++ on weekdays, $45++ during weekends) will also get you one order of any of the seven signature dishes inspired by the flavours and culinary techniques of some of our favourite local dishes. 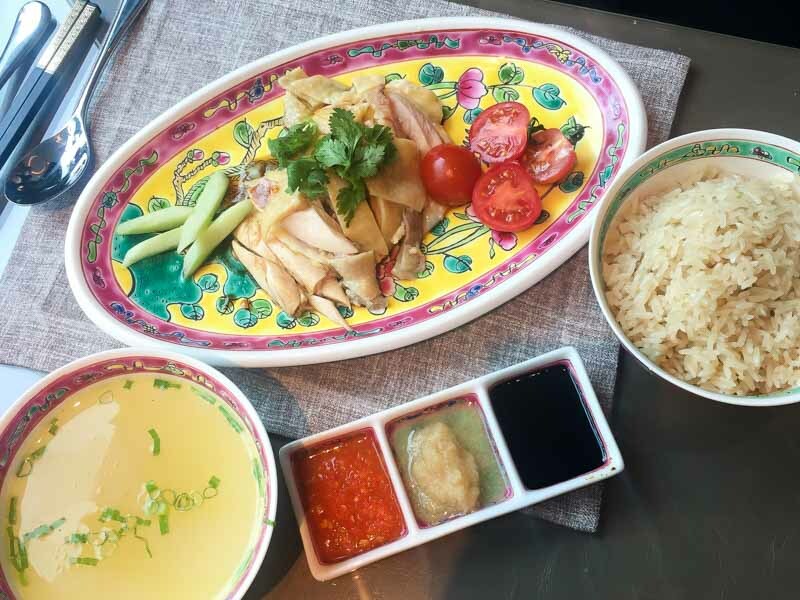 I was recommended the Hainanese Chicken Rice, which was extremely decent in terms of authenticity, and I especially loved the huge portion of chicken that was served. I also had a chance to try the Chilli Crab and Mantou, which wasn’t like anything I had tasted before. It was on the sour side, and was very tangy, so if you’re a fan of those kinds of flavours, this will probably be up your street. I much preferred the Chicken Rice! Sticking with the Nonya theme, you’ll find a selection of Nonya Kueh and other local desserts to end your meal on a sweet note. 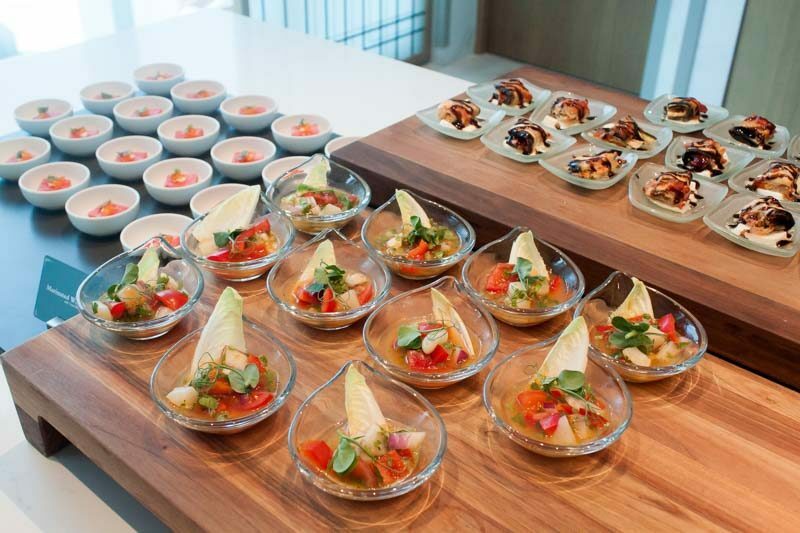 I couldn’t get over the presentation of all the food and just wanted to take all the beautiful plates home! It’s safe to say that I ended my luxurious staycation extremely well-fed, rested and ready for the week ahead. If anything, just sitting in the lobby of the Tower Wing, people-watching and enjoying a coffee is something I could get used to in my free time. 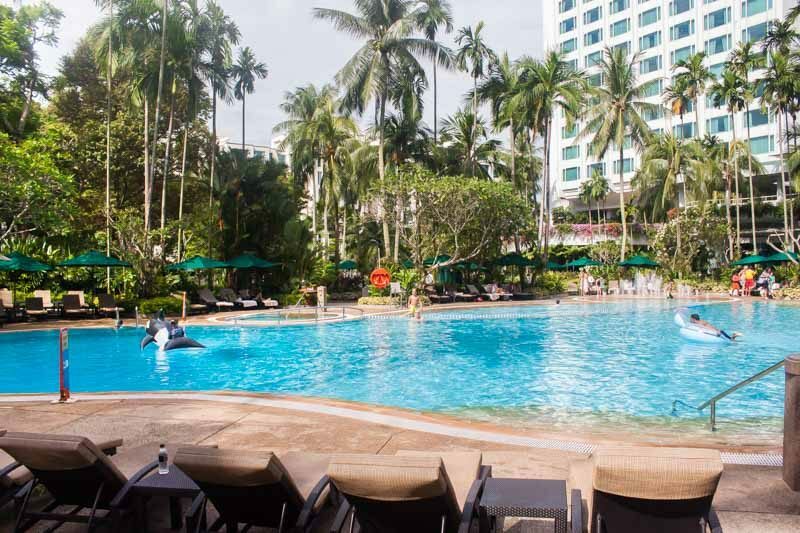 I’m sure you’ll love the new look, and whether you’re scouting for a new staycation location or you’re stuck thinking of somewhere to book for a special meal, Shangri-La Hotel Singapore’s Tower Wing may just have exactly what you’re looking for.